The meditator is experimenting with his consciousness. 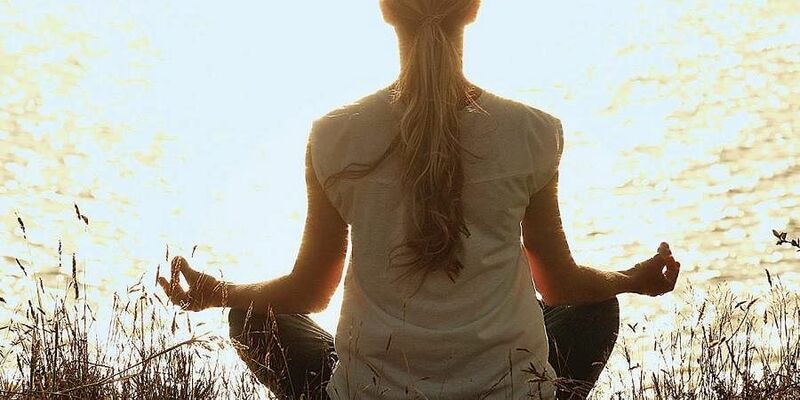 CHENNAI: Meditation is the modern buzzword of health and mental wellbeing. No two meditation techniques are alike just as two doctors would not necessarily prescribe the same medicine. The question then is, what is mediation? Meditation is the opposite of what we do every day; the ‘subject-body’ dealing with the ‘object-world’. It is a practice of profound intellectual conviction that the external world is a fleeting phantasmagoria created using the live human body as the apparatus. The physical body with its software — the subtle mind — of all living creatures creates its own world of names, shapes, colours, smell, taste, and touch reliant on the ability of the sensory organs. Meditation is a mind experiment of human beings. It is a technique in which one can experience the ‘nothingness’ of the external world and the physical body when the physical body with its sense organs and the sensing mind are rendered temporarily defunct. Does the world exist when the body and mind are dropped? Theoretically, it should not exist as the meditator is not using the gadget that is responsible for the appearance of the objective realm. For example, the world and the physical body disappear for a dead person. In the case of a deceased person, the consciousness that was activating the ‘gadget-body’ is withdrawn. Meditation is a similar process of voluntary withdrawal of consciousness from the physical body and mind. The meditator is experimenting with his consciousness. She/he is trying to experience the pure consciousness by disconnecting the consciousness from the physical body and the mind. During meditation, we are generally aware that there is a world ‘outside’ waiting for us to interact with it after the completion of the meditation. What does it indicate? It testifies to the fact that the mind is still operating while we are meditating. The nature of the mind is to divide the subject (body/mind) from the object (rest of the world). The appearance of thoughts of the external world during meditation prove that the mind is in its active mode, and is not yet transcended. The meditation is in progress only when we have completely stopped using our body/mind gadget. Is it ever possible to achieve this state? It is possible when the 'subject-Iness' completely occupies the mind and has not an iota of space for anything else. What will be this state like? Do we just experience the ‘nothingness’ in this state? Is this ‘nothingness’ ultimate? Logically, it cannot be, because, our “I-ness” is experiencing this ‘nothingness’. It means, there must be “I-ness” (the subject-consciousness) which is distinct from the ‘nothingness’. It is rational and logical to assume that being with this “I-ness” to the exclusion of everything else is indeed meditation. Therefore, this “I” must be ‘self-conscious’ and ‘self-existing’. We cannot even talk about this, because, it is automatically objectified as soon as we try to describe it. The only way left to us is to revel in the subject (the “I”). It is like a fish searching for the sea in the sea. Once the fish knows that it was all along in the sea, there is nothing new to find.